With the advent of streaming services such as Amazon Prime Video and Netflix the range of sports documentaries available to watch has increased massively. Fans of nearly any sport can now see behind the scenes with full access documentary series like ‘All Or Nothing’ from Amazon and one-off specials like ‘Do You Want To Win’ from Netflix. There has never been a better time to be a sports fan. But, with rapid expanse of choice comes the problem is deciding what to watch first. We’ve decided we needed to publish our very own ‘Top 5’ to help you separate the winners from the loser. Below you can view our recommendations for avid sports fans like yourself. 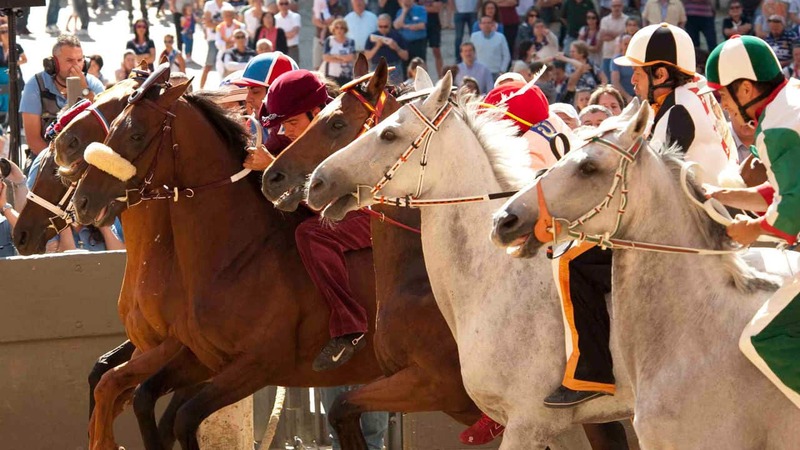 The ‘Palio’ held in Italy is one of the world’s most spectacular horse racing events. A mix between a traditional horse race and Mario cart! Riders can whip each other and even pull opponents from their horses. This makes the race more dangerous than the infamous Grand National. The documentary focuses on the actual race and the subterfuge that surrounds it. Clandestine meetings reveal hidden allegiances, which can help a rider win or lose it. These jockeys are hired guns and will think nothing of double crossing their team if they get a better offer. Fascinating look at this 800 year old horse race. Pistorius is a four-part documentary that offers a revealing on the real person behind the ‘Blade Runner’. A captivating glimpse on his upbringing and leading up to the shock killing of his girlfriend Reeva Steenkamp. If you’re a supporter of Pistorius for his sporting achievements you will love this production. But equally, if you were somewhat baffled by the mixed stories we received from the press during the murder trial you must watch Pistorius. This takes a tragedy worthy of Shakespeare and places the facts right in front of you in a balanced way – excellent viewing. Director Ricard de Aragues pulls off an incredible job and the cinematography is just breathtaking rivaling that in Ron Howards Rush. It was filmed in 3D and the film starts with a flying lap of the full track filmed through the visor of one of the riders. This heart-stopping opening scene sets the standard for the whole film that romps along at a blistering pace. All or Nothing: Manchester City is a fantastic docu-series. Of course there have been fly-on-the-wall documentaries before but this series is faultless. You get to see everything at the club right from the very start of the season to the dramatic end of the season. It is so up-close and personal you almost feel like a player in the Man City squad. This six part documentary chronicles a year in the New Zealand All Blacks camp. It follows them through the 2017 Lions Tour as well as the Rugby Championship before their season comes to a close. It mixes behind the scenes training footage, team meetings and interviews with players and coaching staff. It uses footage from their games and analysis of those games. It is an up close and personal look at the team dynamic. Players have to fight for one of the most coveted positions in sport – a place on the world’s number one rugby team.